I was a little surprised by my boss's reaction when I came out to her on Thursday. She is actually my boss's boss. My actual boss works from his home in Pennsylvamia, whereas my boss's boss works in the same building as I do. As a result, I have more contact with my boss's boss than my boss. That being said, we got to know each other a little better during our 7 hours on the road to and from Pennsylvania. We talked a lot about business, but we also talked about our home lives and families, so I felt very comfortable coming out to her. As I wrote here on Saturday, she said she was perfectly fine with my being trans and that I could dress any way I wanted to at work. I expected her to ask me questions about being trans and I was ready to do a little Trans 101 in response, but she did not ask me anything and that was the end of it. 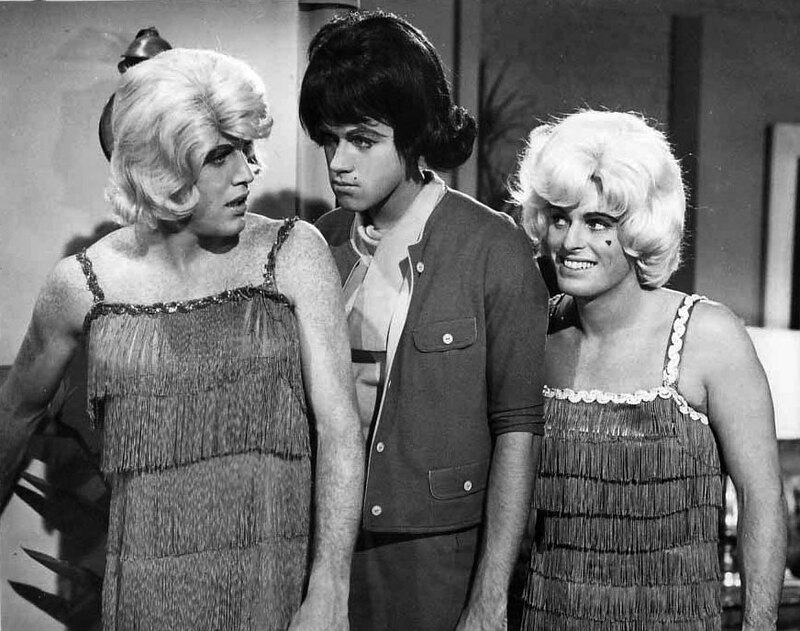 in the 1965 film The Girls On The Beach. It sounds as your boss is a very professional and courteous person. What I mean is that her and your positions of employ may prevent her from getting to personal. She may also be the kind of person who "understands" others and their lifestyle not needed to get all the details, accepting you for who you are and allowing you to be. Which often leaves us to ponder our next steps, when and will they be in heels? You know best what your work environment is like. Is it a place were you're well liked (I get that since) Are there more women then men, also your boss sounds like a person whom you could approach with questions and concerns you have about attire. I'm sure she'll be upfront and honest, she may just not have the liberties to just come out and say yes or no. Is there any of the women in your office that are equal peers that you have a good relationship with that would be able to give you thoughts and incites about being another girl in the office? Most of all I'm just so happy for you, that your fem world is wide and widening. No one should ever have to hide who they are especially if who they are opens up the world to others. I've been following this blog for a long time and expect nothing less! I'm happy for you, Stana, your femme world is growing! I agree with Joan E.B. when she says, no one should have to hide who they are (or what in this polite society!) if what they are causes nothing negative for other persons. That openness allows the whole world to see others of difference and that will eventually lead to a better place. Kudos to you! And thanks again for all you do. thank you Billie, I think this is something we can all agree on! Did you tell her you were trans/transgender or did you tell her the truth that you just femulate and are a transvestite/cross-dresser? Big difference. I told her I was a woman. 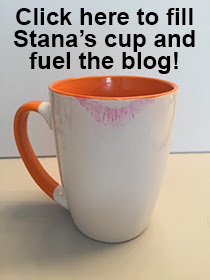 I like that Stana! there is no question in my mind that is exactly what you are. But to the lay, we often need definitions of degree/need to be clear that may have been where Elizabeth was going, she's right and you are right. I do believe that for some of us mtF gender variant / questioning/ queer/ what ever is needed for those congruent with their social construct of gender to understand what it is to they why we call ourselves women. Where I agree wholeheartedly is in what you did not say which, was that you were female. There is a difference! :) and I know you know that. Your answer in my humble opinion was spot on. Has to be a huge weight off your shoulders!!!!! Woo Hoo!!! and a big YAY!